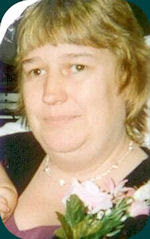 Michelle A. Ayers, 41, of 53 South Main Street died on Thursday, July 28, 2011 at the home of her sister in Wellsville, following a long battle with cancer. She was born March 16, 1970 in Dansville, the daughter of George and Eleanor (Mosher) Ayers.Michelle was a lifelong resident of Wellsville and a graduate of Wellsville High School. She was a cafeteria employee at Wellsville Central School and a hostess at Manor Hills.She is survived by two daughters, Amanda (Gordon) Ordiway of Wellsville and Theresa Kuzara and her fiancé Kyle O’Dell both of Wellsville, one son, Dillon Ayers of Wellsville, one sister, Melissa (Ray Belen) Ayers of Wellsville, three grandchildren, Adrian, Morgan and Adian, two nephews, Tom Miles and Julian Belen as well as one uncle, several cousins and a special friend, John Bartow of Wellsville. Friends are invited to call on Sunday from 2:00 to 4:00 pm and 7:00 to 9:00 pm at the J. W. Embser Sons Funeral Home Inc. in Wellsville. The funeral will be Monday, August, 1, 2011 at 2:00 pm in the funeral home with Rev. Robin George presiding. Burial will be in Woodlawn Cemetery. Memorial donations are suggested to the American Cancer Society or any charity of the donor’s choice. Julie (Eastlack) Ryan of Webster, NY, formerly of Wellsville, passed away at home surrounded by her loving family on Sunday, February 17, 2019 at age 48. Julie went home to be with her Lord and Savior. She is survived by her loving husband of 22 years, Doug; children, Maddy and Colin; parents, Christine and Ralph Eastlack; brothers, Matt (Adriana) Eastlack and Josh Eastlack; in-laws, Gerald and Carol Ryan; sister-in-law, Lisa Ryan, many nieces, nephews, aunts, uncles, cousins, and dear friends. Julie was employed as a teacher in the Webster School District (DeWitt Road Elementary). She took great pride in bringing out the potential in all her students. Friends are invited to call 3-5 p.m. Friday, February 22, at United Church of Christ, 570 Klem Rd., Webster, where a Celebration of her Life will follow at 5 p.m. Memorials may be directed to Greater Rochester Odyssey of the Mind, Mike Farrell, Treasurer, 41 Commonwealth Rd., Rochester, NY 14618. 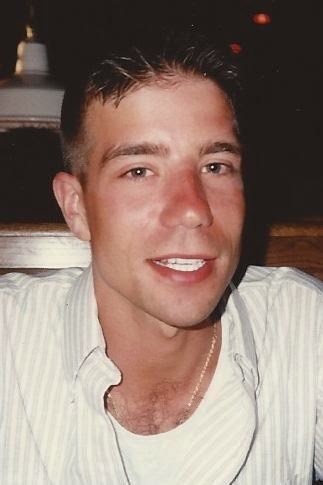 Scott E. Horn, 44, of 5375 Duke Street passed away unexpectedly on Friday, August 22, 2014 at home. He was born June 16, 1970 in Wellsville the son of Edward D. and Charlotte (Clark) Horn. Scott was a 1989 graduate of Wellsville High School. He joined the U. S. Air Force in1990 and served all over the world. He achieved the rank of Technical Sergeant and was discharged in 2010. He was formerly employed as an intelligence analyst for the U.S. Government Department of Homeland Security. He was a member of the Morrison Hayes Post 702 American Legion in Wellsville. He is survived by his father, Edward D.(Susan) Horn of Belmont, two sisters, Sherry (Donald) Horan and Tracy (Bradley) White, both of Wellsville, four nieces, Brittney and Brianna Horan and “Lexi” and Jada White, one step brother, Thomas (Jessica) Dayton of Jamestown as well as several aunts, uncles, cousins and many long time friends. He was predeceased by his mother, Charlotte “Penny” Horn in 1996. Friends are invited to a graveside service with military honors, on Saturday, September 6, 2014 at 11:00 am in Woodlawn Cemetery, 276 S. Main Street in Wellsville. In lieu of flowers, the family suggests memorial donations be made to the Hart Comfort House, the SPCA Serving Allegany County, the American Legion Post 702, American Legion Post 808 or any charity of the donor’s choice. To leave online condolences, please visit www.embserfuneralhome.com.